Thankyou to Lucy Hodgetts (University of York) for this festive post which continues the ‘On This Day’ series. 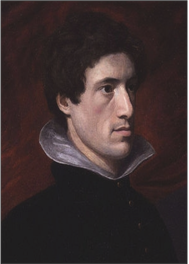 Her blog discusses Charles Lamb’s letter to Thomas Manning exactly 200 years ago on the 25th December 1815. (If you’d like to contribute a post to this blog series next year please contact anna.mercer@york.ac.uk). 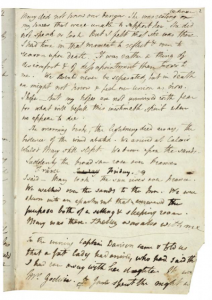 ‘Dear Old Friend and Absentee’: Charles Lamb’s letter to Thomas Manning, 25th December, 1815. Very few letters addressed to Charles Lamb still exist, apart from those written by the sinologist Thomas Manning. One of the first British scholars of Chinese language and culture, Manning was a friend and inspiration to Lamb throughout his writing life. Manning was the ‘friend M.’ from whom Elia professed to have received the translated Chinese manuscript which inspired ‘A Dissertation Upon Roast Pig’. Manning was a gifted mathematician and was accepted to Gonville and Caius College, Cambridge in 1790 to study Maths, but sharing the Quaker antipathy towards oaths meant he never took a degree. He stayed in Cambridge studying medicine and teaching maths, and met Lamb in 1799. While at Cambridge, Manning became interested in the study of Chinese language and culture and in 1802 travelled to Paris to study Chinese under Dr Hagar at the Bibliothèque Nationale. Manning planned to travel to China and, in need of a useful trade, returned to England in 1805 to gain practical medical experience at Westminster Hospital. Manning was granted permission by the court directors of the East India Company to travel and live as a doctor in an English factory in Canton (Guangzhou), and left for China in May 1806. Unsuccessful in his attempts to travel into China’s interior, Manning stayed mainly in Canton until 1810 when he set out for the holy city of Lhasa (now the capital of Tibet), via Calcutta. Manning travelled without government permission, but arrived in Lhasa in December 1811. He was the first British traveller to reach the holy city and was even granted an audience with the Dalai Lama, then a seven-year-old boy. Manning left Lhasa in April 1812 and remained in Canton until 1816. This is Christmas-day 1815 with us; what it may be with you I don’t know, the 12th of June next year perhaps; and if it should be the consecrated season with you, I don’t see how you can keep it. You have no turkeys; you would not desecrate the festival by offering up a withered Chinese bantam, instead of the savoury grand Norfolcian holocaust, that smokes all around my nostrils at this moment from a thousand firesides. Then what puddings have you? Where will you get holly to stick in your churches, or churches to stick your dried tea-leaves (that must be the substitute) in? What memorials you can have of the holy time, I see not. In language prescient of De Quincey’s opium-eater, Lamb encourages his friend to take leave of the ‘Pagodas’, ‘idols’, and ‘wretched reliques’ of ‘Babylon’, enticing him with the nostalgic tastes and smells of home. For Lamb, it is the ‘faces fragrant with the mince-pies of half a century, that alone can authenticate the cheerful mystery’ of the Nativity. It is the domestic comforts and folk traditions of Christmas at home, rather than any religious doctrine, that represents the civilized ideal of England in this letter. In pitting the festive traditions of the ‘holy tide’ against those of the ‘unedified heathen’, Lamb elides a personal nostalgia for home with a patriotic pride in Western civilisation. In typical digressive style, Lamb’s reverie of the future shifts into a more personal key. ‘Poor Godwin!’ he laments. ‘I was passing his tomb the other day in Cripplegate churchyard. There are some verses upon it written by Miss Hayes [sic].’ Coleridge is ‘just dead, having lived just long enough to close the eyes of Wordsworth, who paid the debt to nature but a week or two before’. Godwin and Coleridge do not escape Lamb’s lampoon of academia either. While Godwin’s theories die with him, ‘ten feet deep in Cripplegate mould’, Coleridge has left behind ‘more than forty thousand treatises in criticism and metaphysics, but few of them in a state of completion. They are now destined, perhaps, to wrap up spices’. A light hearted warning to his friend on the ephemeral nature of cloistered scholarship, and on the cyclical rise and fall of empires, Lamb’s letter can also be read as a reproach on neglected friendships: ‘You see what mutations the busy hand of Time has produced, while you have consumed in foolish voluntary exile that time which might have gladdened your friends’. You like oysters and to open them yourself; I’ll get you some if you come in oyster time. [James] Marshall, Godwin’s old friend, is still alive, and talks of the faces you used to make. BARS members who can make it to Texas in the spring are invited by the organisers to attend “The Uses of ‘Religion’ in 19th-Century Studies”, a conference at Baylor University, which will be held in the Armstrong Browning Library from March 16-19, 2016. A list of panels, speakers, and presentations can be seen here. The conference features an international and interdisciplinary group of scholars who will participate in a variety of panels to examine how the category “religion” was constructed and deployed in nineteenth-century literature and culture, and to reflect self-critically on how scholarship invokes that category now. The conference will feature presentations by literary scholars, historians, art historians, and scholars of religion and theology that will extend our understanding of the uses of “religion” as a category and inform future academic conversation. “The Uses of ‘Religion’ in 19th-Century Studies” conference, including a special concert on the Friday, is free to all who wish to attend. Registration is only required for those who are not on the program and plan to eat meals on Thursday and/or Friday (March 17 and/or March 18). The registration fees are $90 for meals on both days and $50 for meals on one day. Conference registration is now open. 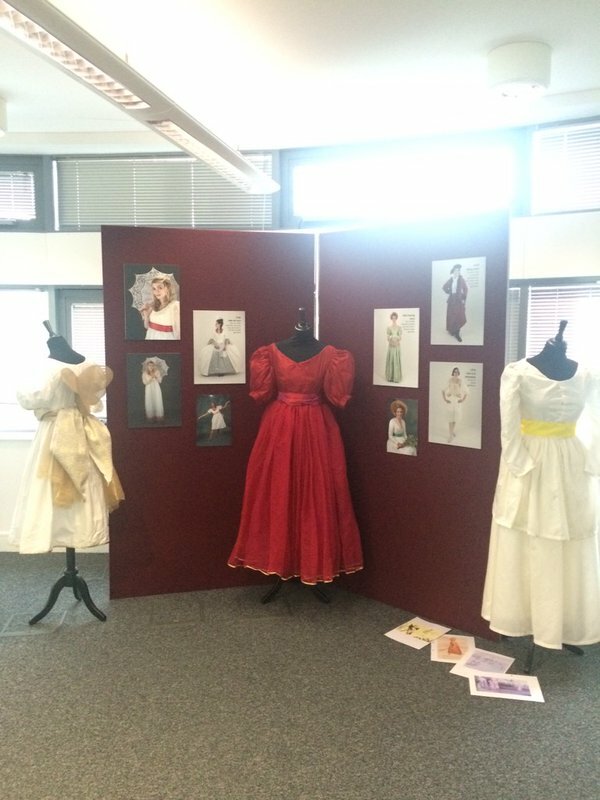 Thank you to Lucy Hodgetts and Marissa Bolin for the following reports from the interdisciplinary conference ‘Difficult Women 1680-1830’ held at the University of York on the 27th-28th November 2015. 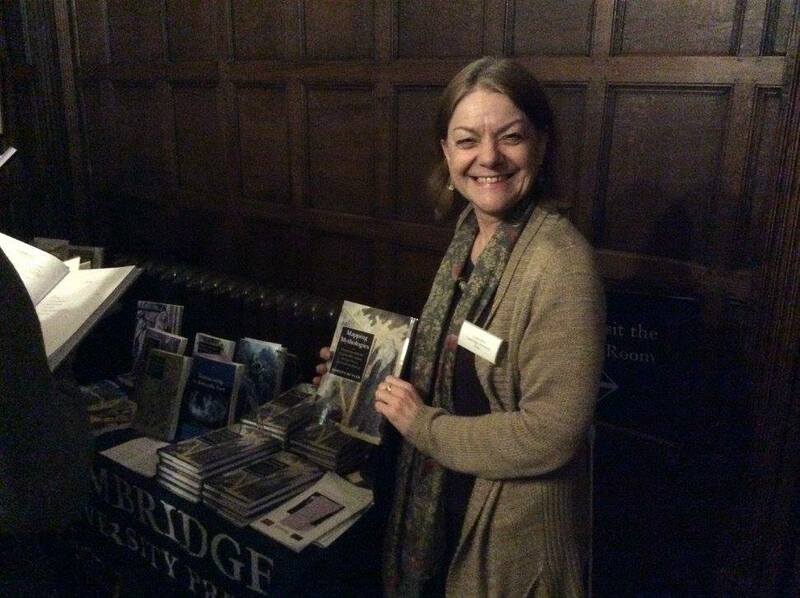 To see the tweets from this conference please have a look at the Storify (day 1 and day 2). More information can also be found on the conference website. ‘Difficult Women’ was a two-day conference put together with the aim of uniting scholars working on representations and conceptions of women in literature, theatre, art, and science of the long eighteenth century. The term ‘difficult women’ encapsulates a plethora of figures that resisted accepted norms of femininity, and who challenged the expectations of their gender by innovative means. 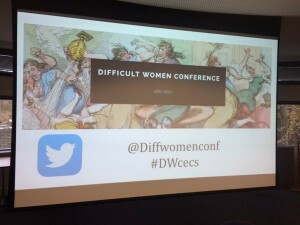 This interdisciplinary conference was a vibrant reflection of current research into the numerous ways in which women were considered to be ‘difficult’. Shearer West’s keynote lecture, ‘What Do Difficult Women Look Like?’ set the tone for a truly interdisciplinary conference by exploring a range of artistic interpretations of femininity. West argued that over the long eighteenth century women became more ‘difficult’ as they became more visible, and thus more visualised. The central tension in these stylisations was between the interplay of particularity and generality. West used portraits of the Duchess of Devonshire to highlight the differences in individualisation in earlier and later representations, and claimed that in attempting to capture something singular in celebrity portraits, artists were actually producing innovative work. Prof. Shearer West. Plenary, day 1. On the second morning of the conference I was lucky enough to chair a panel of three rich and diverse papers, ‘Public, Private, and Class’. The first paper was delivered by Dr Victoria Owens and explored the relationship between the domestic and industrial spheres in the life, career, and marriages of Ann Henshall, a Staffordshire businesswoman. 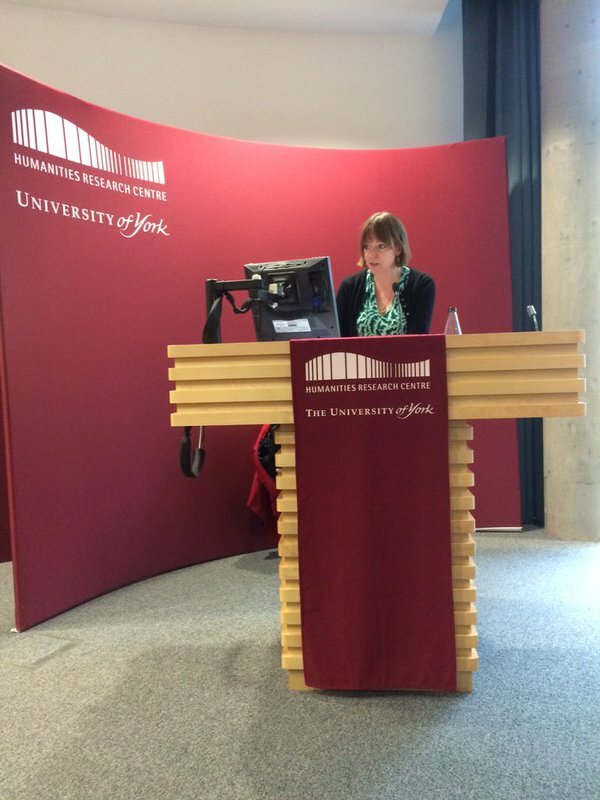 A recent MA graduate from the University of York, Laura Griffin, gave the second paper. Exploring a wealth of graphic caricatures of Princess Charlotte, Griffin’s talk was a fascinating examination of the misguided public-moralizing on female royalty and Britishness. The third paper was delivered by Cecilia Yu-Ting Yen on the relationship between propriety, property and the measuring of individual worth in Jane Austen’s Mansfield Park, and prompted a lively discussion on Austen’s heroines. 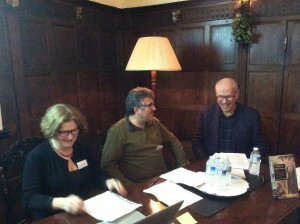 The panel ‘Modern and Contemporary Voices’ treated delegates to innovative re-readings of female writers. York PhD student Elizabeth Bobbitt gave a fascinating paper on the role of female antiquaries in Ann Radcliffe’s posthumous historical novels, and offered a refreshing perspective on the gendered role of the antiquary. Emilee Morrall’s paper on hunter/prey relationships in the fiction of Charlotte Smith utilized novel theoretical approaches to explore the role of female agency in Smith’s works. Finally, Professor Ros Ballaster’s paper, ‘Are we difficult enough yet? Feminist literary history and its futures’, argued for a qualitative rather than quantitative grounds for engaging with recovered women writers. Perhaps my favourite paper of the conference was Kathleen Keown on ‘Difficulties of Influence in Martha Fouke’s amatory verse’. In an infectiously enthusiastic talk, Keown introduced us to the passionate verse of Martha Fouke, known affectionately as ‘Clio’ to her admirers. 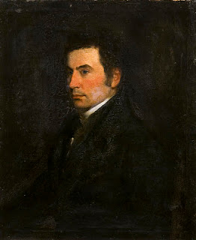 Keown discussed Fouke’s unique stylistic choices and why they were worth recovering, despite Eliza Haywood’s best efforts to brand Fouke as a libidinous amateur poet. It was a rare achievement to introduce such a historically obscured figure so comprehensively in a fifteen-minute paper, and I left the auditorium with a renewed interest in amatory writing, and a brand new interest in Fouke. The conference concluded with Professor Harriet Guest’s lecture, ‘The Celebrated Mrs. Robinson’, which explored Mary Robinson’s complex self-representations in portraiture. The stark nature of George Dance’s profile portraits of Mary Robinson and Elizabeth Inchbald were possibly considered by contemporary critics to be unflattering in their attempt to reject popular celebrity and depict more ‘serious’ women of letters. Yet to the modern eye they seemed arresting and stunning in their crisp execution. Like most actresses depicted in character, Robinson’s portraits were considered as continuations of her dramatic performances. Although actresses used such depictions of their roles to mask their personal lives, Robinson’s celebrity resisted this identity switch in innovative ways. Circulated and proliferated strategically to shape her public identity, Robinson’s Warhol-esque image suggested not only a blurring of character and actress, but of public and private lives too. 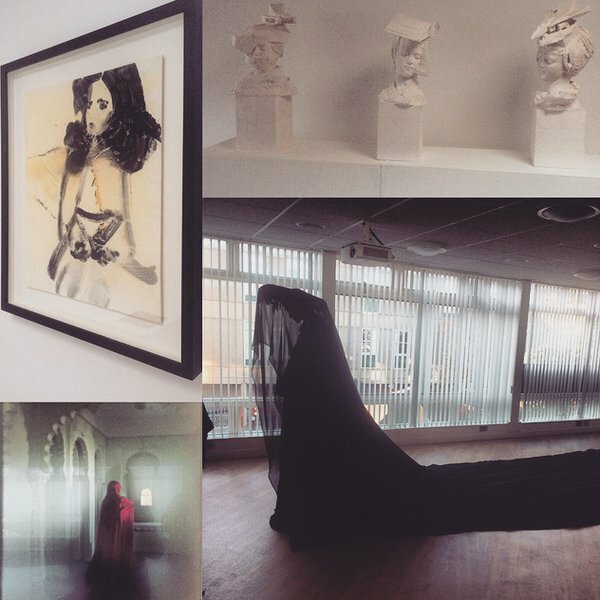 Images from the contemporary art exhibit ‘(Difficult) Women’ curated by Arlene Leis at the Norman Rea Gallery (the venue for the conference wine receptions). The breadth of papers read at ‘Difficult Women’ was testament to the richness and diversity of current research into women’s roles in eighteenth-century culture. This was a truly inclusive event in which professors, students, and professionals all rubbed shoulders in their discussions of women’s contributions to history, literature, politics, science, art, and material culture. The organisers should be congratulated and thanked for such a triumphant celebration of ‘difficult women’. 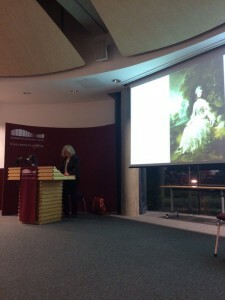 Originally intended as a one-day conference focused on the representations of independent and revolutionary women in the eighteenth century, the volume and quality of papers submitted to the University of York’s Centre for Eighteenth Century Studies (CECS) became the basis for a two-day event. The conference was supported through funding from CECS, the Royal Historical Society, the British Society for Eighteenth Century Studies, and the Humanities Research Centre. Beginning with Professor Shearer West’s paper entitled “What Did Difficult Women Look Like?” we considered how the eighteenth century became an important period regarding the perception of “difficult women.” West argued that late eighteenth-century portraiture saw a change in the way in which women were presented. Progressing from flattened images of generic female figures, women began to be individualised in art and their images developed specialised identities. The remainder of the first day’s panels focused on eighteenth-century material culture, women’s relationship with men, artistic representations of women, and female identities to explore the importance of the period in the development of “difficult” women. Alison Duncan’s analysis of Jane Innes, an influential aristocrat whose relationship with her brother forced her to become self sufficient, examined the ways in which unmarried women struggled to conform to social expectations. Dr. Rachel Turner and Heather Carroll, in contrast, investigated how women such as Kitty Fischer, Frances Abington, and Queen Charlotte fought purposefully against social norms, and the ways in which independent identity became visible through artistic representations of these important women. The second day addressed the concept of extraordinary women and their embodiment of what it truly meant to be “difficult.” The day began with panels on the public and private spheres of women, women on stage, and the mental health of eighteenth century women. Lesley Thulin reflected on the presence of romantic melancholy in the lives of Dorothy Wordsworth and Maria von Herbert; Jack Orchard presented the juxtaposing identities of Catherine Talbot. 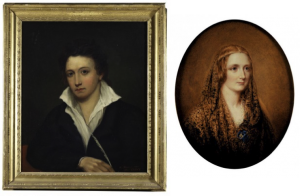 In addition Eleanor Fitzsimmons’ analysis of Percy Shelley’s first wife Harriet, and Morag Allan Campbell’s look at the development of puerperal insanity, created intriguing perspectives of women of the period. The day also involved a very popular panel on the portrayals of prostitutes, criminals, and female sexuality with presentations by Dr. Drew Gray on the Kotzwarra v. Hill murder trial and by Dr. Ruth Scobie on the Henry Sullivan v. Cowden, Cutler, and Storer trial. Dr. Janice Turner examined the high percentage of women making a living by stealing, while Lizee Oliver analyzed the shocking presentation of women’s sexuality. 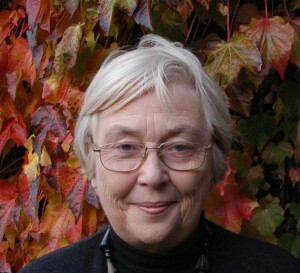 Prof. Harriet Guest. Plenary, day 2. The conference concluded with a thought-provoking and in-depth analysis of the image of Mary Robinson by Prof. Harriet Guest, founder of CECS at York. Guest used the ways in which Robinson was presented in letters and in portraiture to argue that unlike the women that West discussed in her opening address, Robinson remained unique in her artistic portrayals. Unlike Siddons, Abington, and Inchbald, Robinson distanced herself from her theatrical roles in order to enhance her private identity. The two-day conference was well attended and offered a wide range of interesting papers which stimulated discussion. Delegates contributed a fascinating range of perspectives to a deepening understanding of the ways in which “difficult women” shaped the eighteenth century. Please see below for a Call for Papers for ‘The London Stage and the Nineteenth-Century World’, a conference which will take place next April in Oxford. The deadline is fairly soon (Friday December 11th), but there’s still time for those interested to submit abstracts. Proposals should be emailed to Jacqui.julier@new.ox.ac.uk; these should reach her by midnight on Friday December 11th. Other inquiries should be sent to the organisers, michael.burden@new.ox.ac.uk and jonathan.1.hicks@kcl.ac.uk. 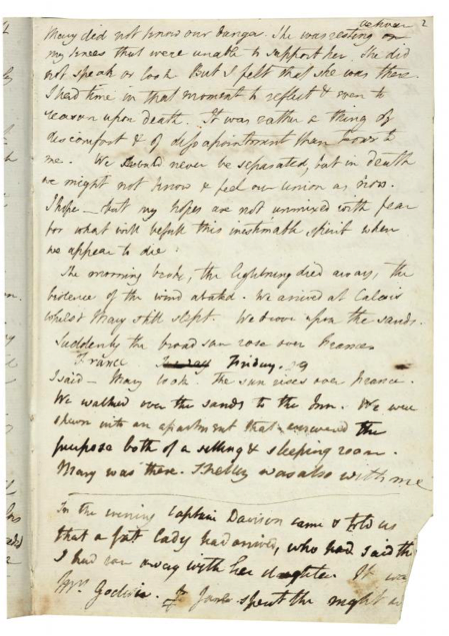 The ‘On This Day’ blog continues with a short piece by Anna Mercer on the winter of 1815, discussing P B Shelley’s ‘Mutability’ and the inclusion of this poem in Mary Shelley’s Frankenstein. To contribute to this blog series, please contact anna.mercer@york.ac.uk (we are currently seeking posts for next year that relate to literary/historical events in 1816). 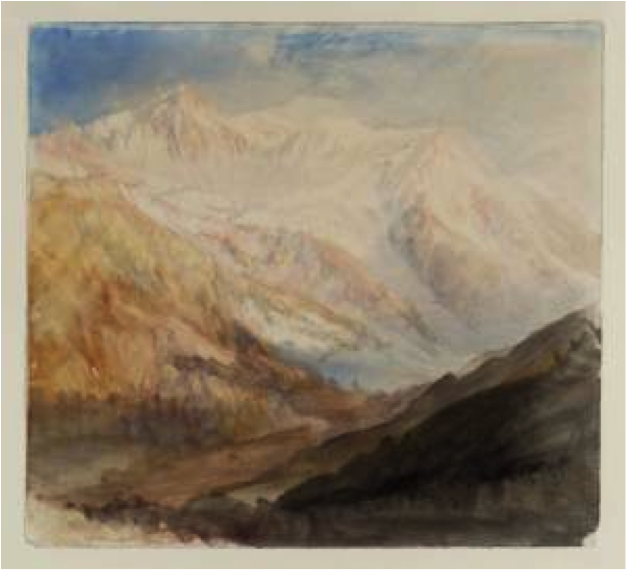 J. M. W. Turner, “Mont Blanc and the Glacier des Bossons from above Chamonix; Evening 1836″, Tate Britain.